As you're reading this I am either on the road to my first mud run, The Survival Race or sweating my way through it. Today I am going to keep it short and sweet with a few things I am loving at this moment. First up on my #lovelist is my new planner. Between school, wedding planning, blogging, PT, etc I needed something to record all of my appointments/plans. I have tried using my iPhone calendar in the past but writing things down always helps me stick to them. I bought this bad boy from Bed Bath and Beyond last week when I picked up my new Tervis. Best part? It is jam packed with quotes. If any of you follow me on Instagram, you know I love quotes...don't we all? Next up is my fiance. I wasn't going to have a love list without him...right? The reason he is included today is because no matter what he is always finding new ways of surprising/spoiling me. I'll be the first to admit it: most of the time I don't even deserve it. Thursday night I came home to this box of dark chocolate sea salt turtles from my favorite chocolate shop in town, for NO reason. I just feel like my "Thank You(s)" aren't enough. He's simply the best. In an effort to get my mom off of her morning "crack" aka sugar free (jam packed with chemicals) french vanilla creamer I bought us a milk frother. This $10 gadget made my morning coffee an even more pleasurable experience then usual. I only hope she feels the same way. Sidenote: I am not saying I don't use chemicals flavored creamers in my coffee from time to time, I mean HELLO pumpkin pie flavor is back! There is a difference between in once in a while and everyday use. Thanks to Kristin aka STUFT mama I am a goo addict. I have had a different variation of this everyday this week. It's quick, easy and portable. 3 factors for any successful meal. As soon as I finished all of Pretty Little Liars I needed another obsession and something to distract me while I walk on the DREADmill, so I went with Revenge. I finished season 1 last night and cannot wait for the 9/30 premiere of season 2! If you have never seen this show, go download it off of iTunes or Amazon for $20...you won't be sorry. This week we covered proteins. A favorite subject/food group of mine. I know a lot about nutrition from studying and reading about it on my own, but I love having school to take my knowledge one step further in something I am so passionate about. I am so excited to share everything I have learned with my future clients. That is a small list of things I am loving lately, I can't wait to see what is on yours. I'll give you the full recap on the Survival Race tomorrow...if I do, in fact, survive. I love my milk frother - I'd be pretty excited about it as well! Also, having a planner to hand write things in still helps me a lot, even with my Google Calendar electronically keeping me organized. great love list, darlin, and best of luck at your race today! i know you will do great! my love list today would include my brand new love for yoga and coconut flour! happy saturday! spa love! Love the list! And the milk frother is great! I have one from Ikea...like $3 and I LOVE it. Makes my morning routine so much more amazing! Great list! 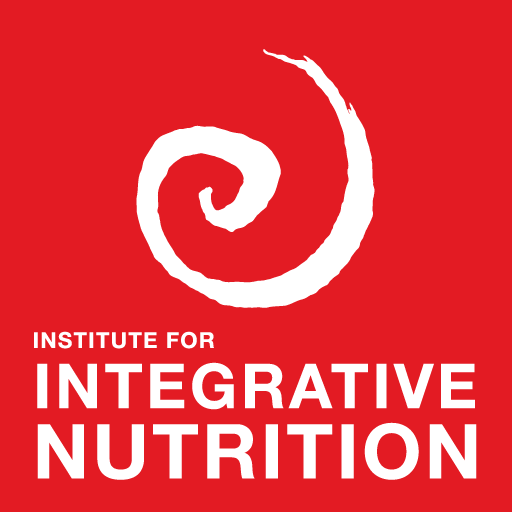 I'm so glad that you mentioned the Integrative Nutrition School. I have been checking out their website for months and considering joining. Is its doable with a regular 9-5 job? That is one of my major concerns and something that has been holding me back. Commercial Break Workout & Fall TV! First PT session + Giveaway winner! Pumpkin Baby Cakes & 5 am workouts + Giveaway!